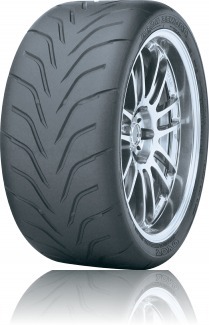 Enhanced R-Compound Tread Maximizes grip for better competitive handling and performance. Unidirectional V-Shaped Tread Design Increased tread area and limited void improves dry traction V-shaped grooves assist with wet traction. Stiff Bead Construction And Wider Tread WidthIncreases cornering force for better competitive handling.